A Hawk and a Hacksaw is an American folk duo from Albuquerque, New Mexico, currently signed to L.M. Dupli-cation. 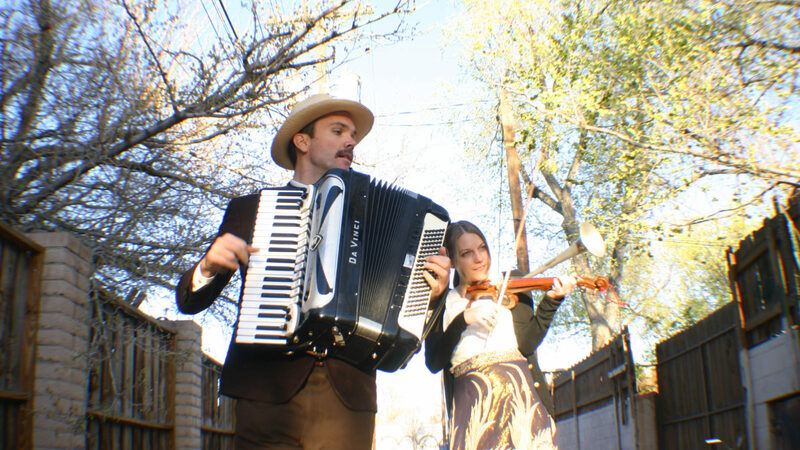 The band consists of accordionist Jeremy Barnes, who was previously the drummer for Neutral Milk Hotel and Bablicon, and violinist Heather Trost. The music is inspired by Eastern European, Turkish and Balkan traditions, and is mostly instrumental. They have released six albums and have toured internationally. The first four albums and an E.P. were released on The Leaf Label and afterwards on their own label L. M. Duplication.